Creating vibrant, authentic places requires us to think like an architect and an urban designer, at the same time. How do we as designers deliver place? Should we think like planners, creating a master plan with pedestrian-friendly streets and open spaces? Or like architects, designing attractive buildings with lively communal spaces? At Torti Gallas, we believe you need to think like both. We have come so firmly to believe this, we have coined the phrase “the inextricable link” to describe the relationship between planning and architecture in creating vibrant, authentic places. Our aim is not to think like one or the other, but both at the same time. We came to this realization after decades of practice in residential and mixed-use design. In some of our early apartment commissions, we realized that when even a few buildings are put together, they create an environment. The spaces between the buildings are as much a part of the quality of that environment as the buildings themselves. That realization was the beginning of our journey to find the common ground where planning and architecture work together to create place. We began to develop a consciousness of the both/and of buildings -- as works of architecture that are inhabited internally, and as parts of a city or town or neighborhood that are experienced from the outside, by the broader community. A key to the latter is the quality of the environments they help to make, because when the spaces between buildings are designed as the welcoming receptacles for public life, place is born. So in our downtown projects, we look to the context and ask how our buildings can contribute to the urban conversation happening all around them. In so doing, we raise a single act of building to a larger one of planning, engaging the building physically, and its inhabitants lives experientially, with the city. 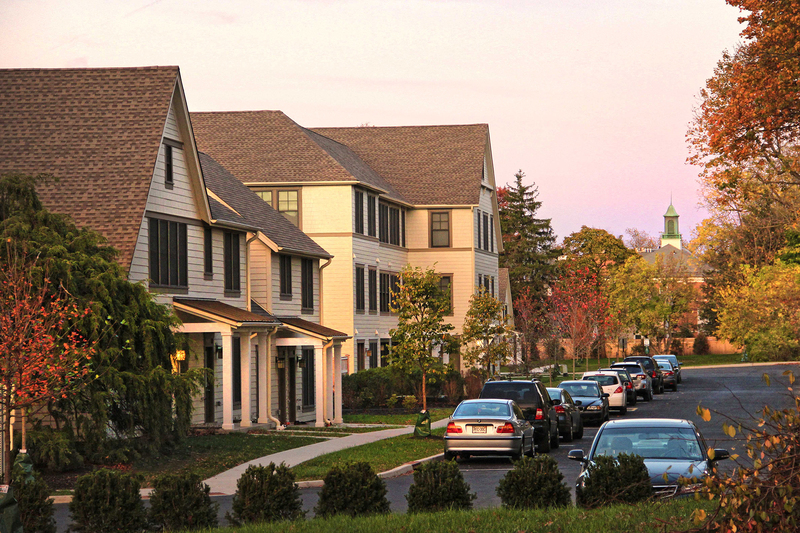 In our large-scale neighborhood projects, this both/and way of thinking yields other benefits. When planning and architecture are designed simultaneously, the entire gamut of urban and architectural variables is on the table from the onset. The block, the lot, the dwelling, the street and the open space, when designed at the same time, are responsive both to the demands of their own imperatives, and to each other. Not only are mismatches avoided – say between block sizes too small to accommodate a development program and its associated parking requirements – but an iterative process of back and forth results in an equation that optimizes them all. This methodology allows for the creation of residential types that are not simply a reaction to program or fixed lot dimensions, but the result of a freer process of invention that often begins with the placemaking features of the region. We have developed a rich repository of middle density residential types that replace the deadening suburban triad of Single Family Detached, Single Family Attached and Multi-Family units with new types, yielding a richer urbanism that accommodates diverse demographics. 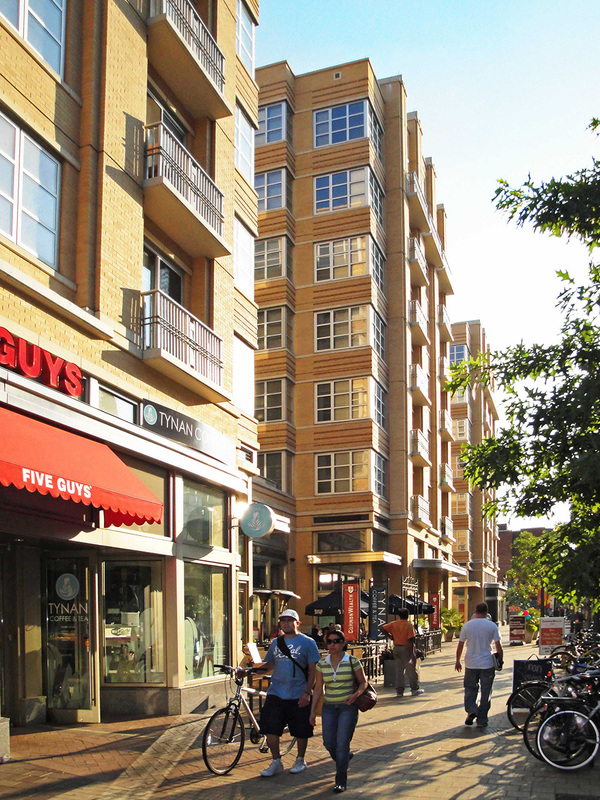 In urban infill and suburban retrofit projects, we transform conventional apartment buildings to create forms that either heighten the quality of existing places, or begin the process to establish new ones. 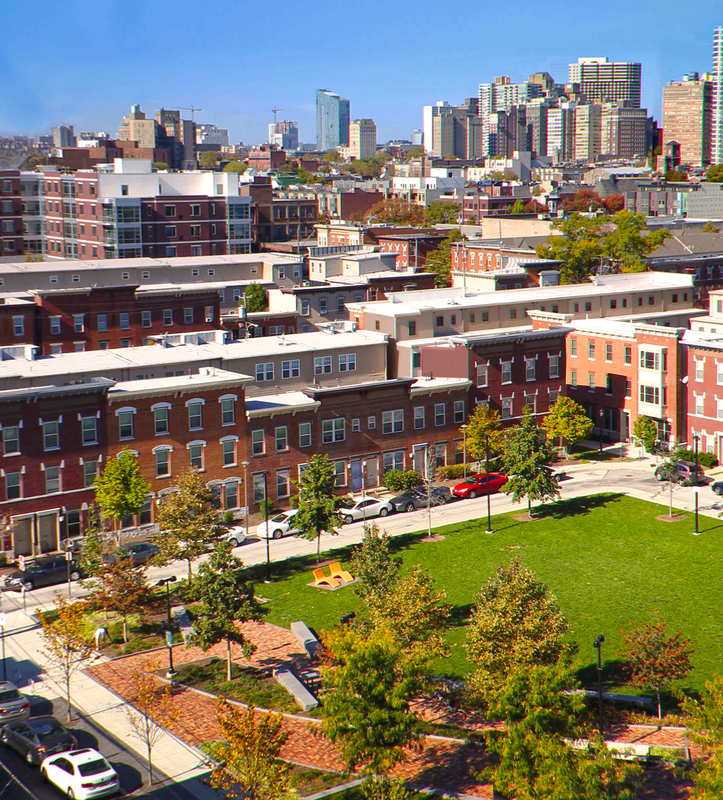 Our thought process aligns with the “principle of the second person” of the famed Philadelphia city planner Edmund Bacon -- that great places are the result of work and design over multiple generations. This both/and thinking also focuses a microscope on the intersection between planning and architecture, where place begins. Not simply the result of one or the other, a powerful place occurs when urban design and architecture work in tandem and together yield a greater whole. Buildings conceived in isolation can only leverage their identity from their own architecture, while those developed in concert with their neighbors, as part of a street or neighborhood or city, gain power by virtue of their alliance with the larger urban aggregation. This elevates the architecture of normative building – the houses and apartments and offices and shops, in which daily life occurs – into something more powerful – place. And in so doing, creates the continuum of experience that enriches ordinary life.